With ongoing threats like economic instability, terrorism, nuclear war, and climate change, the need to be prepared has never been more urgent. In addition, you don’t your neighbors to know about your prepping habits. When SHTF, it will be every man for himself. Starving men are desperate men; they will not hesitate to break into your supplies. herbsEven if you don’t have much space, you can grow food indoors. It might not be enough to sustain your family, but anything you grow will be a fresh addition to your stockpiled foods. Popular ways to grow food indoors include window boxes, planters, and hanging baskets. You can use these methods to grow herbs, oranges, tomatoes, peppers, carrots, etc. Growing foods indoors is the best way to keep interfering governments and nosy neighbors out of your business. Plus, you can keep your garden going year-round. Examples include peppers, strawberries, cabbage, berries, herbs, tomatoes, and fruit trees. The roof is the last place anyone is likely to look for stored or hidden food. The only requirement for this method is that you have a flat roof – this can be an apartment building, barn, or any other roof. If you’re in the process of constructing a new building on your property, consider building it in a way that allows for a flat roof or provides out-of-sight growing space. If your roof is sturdy enough to support dirt, you can cultivate an entire garden up there. Sure, we’ve heard about drug dealers growing plants in their basements – but what about food? 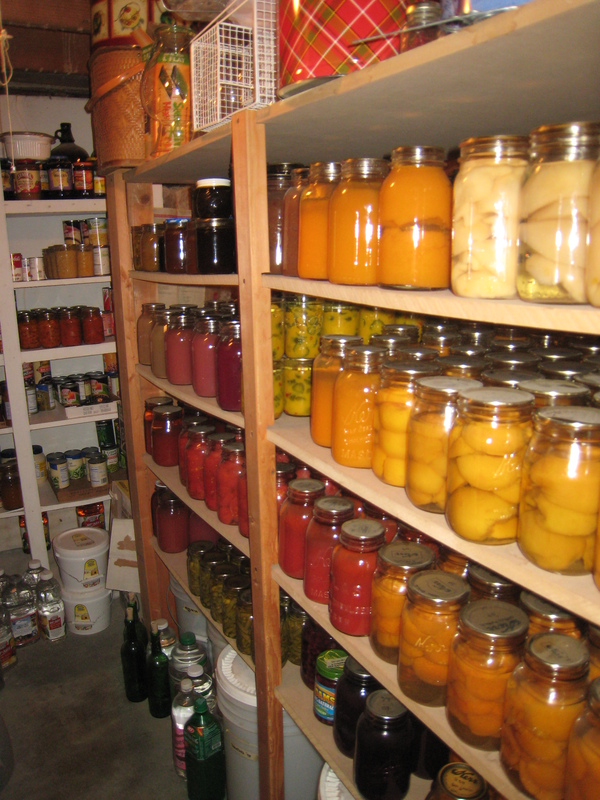 As long as you have grow lights, any shed, cellar, or basements is a great places for growing secret foods. koi_pond_by_ryumia-d2z3j4nNearly any pond, even a decorative koi pond or small indoor pond, can be used as a hydroponic or aquaponics garden. There are loads of critters (incl. fish, snails, and shrimp) and aquatic plants that can be grown in small spaces. You can even grow traditional plants using floating planters. The best part is that nobody will ever guess that your beautiful pond is a secret food source! If you do your homework, you’ll discover that several aquatic plants are full of vitamins and minerals. Sometimes, the best place to hide something is in plain sight. The following edibles can easily be planted throughout your hedges: cucumbers, berry bushes, potatoes, peppers, rhubarb, and carrots. This is a relatively new concept that combines vermiculture (creating fertilizer using worms), hydroponics (growing plants without soil), and aquaculture (growing plants or raising fish using water). Vermiculture is a self-sustaining system that can produce plants and fish using no soil. Worms and fish produce waste that makes fantastic fertilizer. The plants you grow in that fertilizer are full of nutrients and grown without chemicals. A vermiponic “garden” can be set up in a small place and consistently provides two food sources simply by way of maintaining the system. Figuring out how to cultivate fresh foods to feed your family without looking like a stereotypical “prepper” isn’t hard if you’re willing to do some research and think outside the box. Of course, you can always maintain a traditional garden or greenhouse – but it’s always good to have a backup plan.